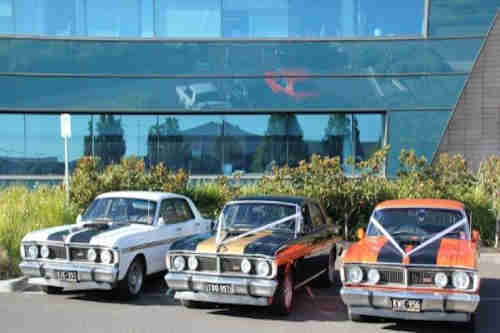 Are you looking for high impact wedding car hire that is a combination of power and nostalgia? Look no further – here are the Top 10 Muscle Wedding Cars for 2019! 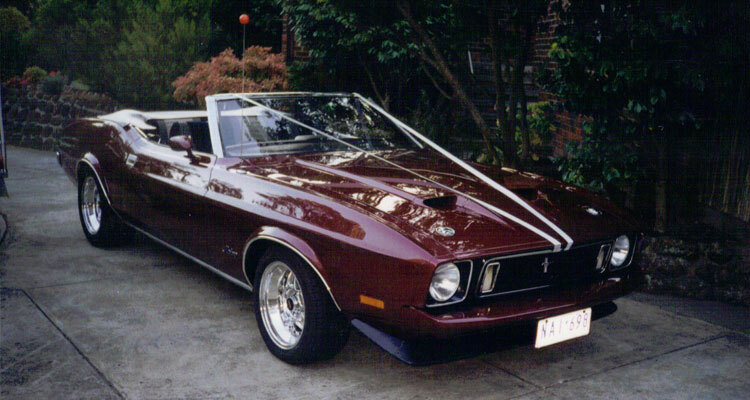 So you love muscle cars, but you’re not sure what the best choices are for your wedding. With this guide to the Top 10 Muscle Cars for 2019, we’re about to make the choice easier. What makes a muscle car such a fantastic wedding car? It really comes down to your personal style – you want a car that reflects your personality, and makes the ride so much more enjoyable for you and your partner or bridal party. There are some great cars to choose from, but we’ve found the best with this list of the Top 10 Muscle Wedding Cars for 2019. The exterior of this car is sure to impress, and many of your guests will recognise this car from the movie “Gone in 60 Seconds”. Its 275 wide tyres, 9 inch rims, side exhausts and shelby scoops all make a big statement, and the interior is just as grand with leather seats and alloy dash. Must Have Mustangs hire out this car for weddings and special occasions. The supercharged 5 litre Ford V8 engine will certainly announce your arrival! Yes, you have read correctly! If you have a group to transport, you can still follow your muscle car dreams. There are only two of these amazing vehicles available in Melbourne, proudly owned by wedding car hire company GT King Wedding Cars. You can choose between the ultra White, which carries eight passengers, and the vermilion fire red stretch limousine, which can carry six passengers. This model of Mustang is one of the most in-demand models in the muscle car world. It is available in many different colours, but we love this authentic refurbished car owned by Limousine King. It has been refinished in Orange Pearl, with jet black trim and carbon fibre moulding. This amazing car took 5 years to fully restore. With a 500 HP engine, your guests will hear you arrive before they see you! When Chevrolet introduced the Camaro in September 1966 for the 1967 model year, as competition for the Ford Mustang, it took on a life of its own. With several generations in its rich history, the Camaro is known in both the domestic vehicle, muscle car, and the racing worlds. We think this is one of the best muscle wedding cars for any car enthusiast, and highly recommend a Camaro Convertible – you can enjoy your trip with an open top car and make the most of the journey! Not sure where to find this amazing car for your own big day? Check out Bexy’s Muscle Car Hire. We can’t have a list of the Top 10 Muscle Wedding Cars for 2019 without including the Ford Falcon XY GT Sedan. If you only need to transport a few people, then this is a go-to for many. Power, style and a rich history make these cars the perfect choice for muscle car fans. What will you find on this model? You will find “shaker” hood scoops, high powered V8 engines, luxury interiors – and you will find them in a variety of colours inside and out. GT King Wedding Cars, the same car hire company that has the exclusive GT Limos mentioned above, also has a number of sedans on offer, so you can pair a GT sedan with a 6- or 8-seater limousine and really make an entrance to remember. Looking for something more intimate? A Shelby Mustang Coupe GT500 is just the car! What muscle car fan wouldn’t love a 302 Windsor 5.8 Litre V8 engine, luxury interior, bench seats and authentic Mustang style? If you only need to transport a couple of people, and love the look of this brilliant coupe, then this is the car for you. Whatever the model, a Ford Mustang Convertible makes wedding day travel so much more fun! Let the sun shine down and create moments that will never be forgotten. Introduced in 1964, the Ford Mustang created a new class of vehicle known as the “pony car”. Released in both hardtop and convertible, we love the look of Mustang convertibles as wedding cars. If you want to feel the warmth of the sun on your face while you enjoy your ride, this is the ideal choice. 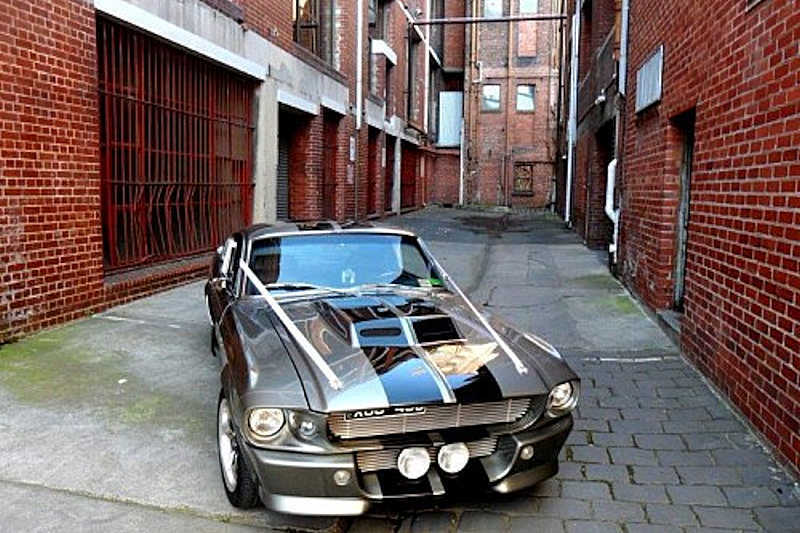 Bexy’s Muscle Car Hire and Mustang Chauffeured Cars are two of the best companies around if you want Mustang Convertibles for hire in Melbourne. 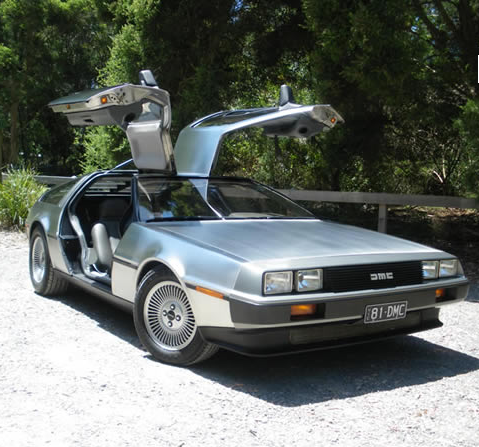 We’re including this amazing car, in part because it is a rare and famous car that falls into the muscle car class, but also because we are huge fans of the “Back to the Future Trilogy”. We can guarantee your entrance will not be forgotten on your big day if you arrive in this incredible car! In 1964, Pontiac released an iconic car – the Gran Tourismo Omologato (grand tourere homologated), or GTO. This implied that the model was a racing vehicle, but in reality it was never actually a certified Grand Tourer race car. It came available in coupe, hardtop and convertible options, all unified by a powerful engine and unmatchable style. Some car enthusiasts consider the Pontiac GTO to be the original muscle car, inspiring the whole generation of muscle cars that followed. We are finishing our Top 10 Muscle Wedding Cars for 2019 with this unparalleled vehicle. 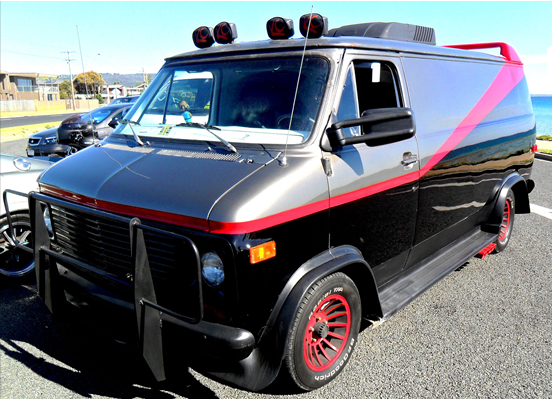 You don’t get more “muscle” than a replica of the A-Team van! If you are looking for the most unique, mindblowing arrival on your wedding day, then this is the car for you. You won’t find many of these around, and your best option is to contact Must Have Movie Cars if this is your dream wedding transport. Their A-Team van has all the features of a limo, including full comfort. Inside you’ll find signed movie memoriabilia, LED lighting, a huge video screen, sub-woofers and leather seats. With seating for up to 8 passengers and a 5.7L Chevrolet V8 engine, you’ll move with style and power. The distinctive nature of muscle cars means that you’re sure to create the spellbinding entrance you’re after. 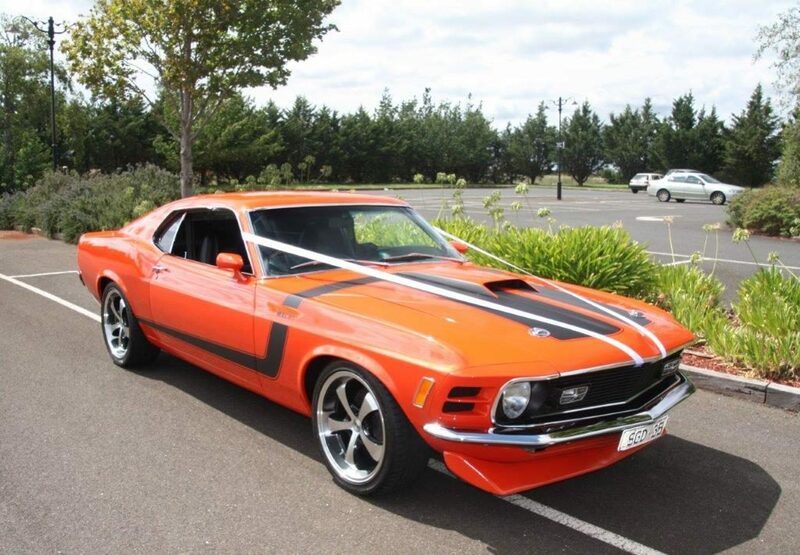 With cars refurbished to impress, while honouring their origins, muscle wedding cars offer the best of all worlds – high powered impact, smooth travelling and reliability. Our list of the Top 10 Muscle Wedding Cars for 2019 is sure to help you get your wedding car plans sorted. 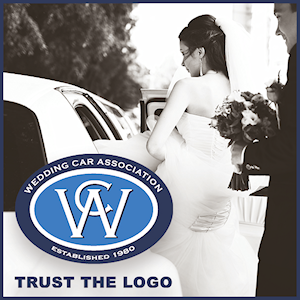 Connect with our Victorian Wedding Car Association members, and make the ultimate muscle car entrance on your special day!